Short Information :- Central Bord of Secondary Education CBSE Board are Finally Issued Time Table, Date Sheet for the Upcoming Board Annual Examination for the Class 10 and Intermediate Class 12 Examination held on February 2019, IntreInter Candidates Read the full Notification and Download Time Table. No Application fee for the Download Time Table and Admit Card for the Regular and Private Candidates. Regular Candidates: All Class X & Class XII Regular Candidates Can Collect the Admit Card / Admission Hall Ticket to Enrolled School / College. 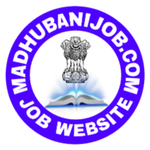 Private Candidates: All Private Candidates Can Download Admit Card to Official website Of CBSE or Collect the Admit Card to Rejistered CBSE School / College. Time Table / Date Sheet for CBSE Board All Region 2019 Are Available Now. Pay The Exam Fee Through Credit Card/ Debit Card/ Net-banking. Junior Clerk :- 12th (Intermediate) Pass From A Recognized Board. Assistant :- Graduate From Any Recognized University. Assistant (Research/Reference) :- Graduate in Library Science With Post Graduate In Any Subject From Any Recognized University. Library Assistant :- Graduate in Library Science With Post Graduate In Any Subject From Any Recognized University. Urdu Assistant :- Graduation Pass & Urdu Should Be A Subject Of Language In The Graduation From A Recognized University. Urdu Translator :- Graduate In Urdu With Hindi Should Be A Subject Of Language In The Graduation Or Graduate In Hindi With Urdu Should Be A Subject Of Language In The Graduation From Any recognized University. Translator (English/Hindi) :- Graduate In Hindi With English Should Be A Subject Of Language In The Graduation. Or Graduate In English With Hindi Should Be A Subject Of Language In The Graduation From Any Recognized University. Assistant Caretaker :- Graduation Pass From Any Recognized University. Short Information:- Exam Regulation Authority Of Uttar Pradesh, Those the Candidates are Intrested to UPTET 03 October 2018 and Read the Full Notification and Apply Online Form UPTET 2018. Primary Level:- passed of 10+2 (Intermediate) with 50% Marks And 4 years B.LED Degree. Or D.Ed Special Exam Passed or B.ED Passed / Appearing. Junior Level :- Bechelor degree / Master degree Passed with 50% Marks with B.Ed Special Exam Passed. Post Name :- SSC GD Constable Recruitment Online Form Syllabus 2018.